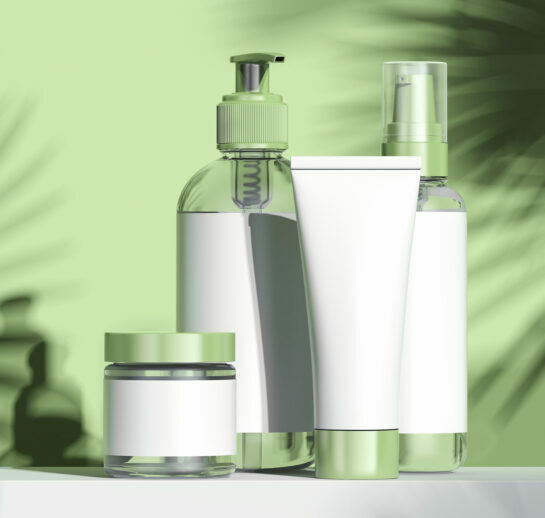 When you are getting ready to choose your skincare packaging — which we recommend you do as early in your skincare launch plan as possible– you’ll want to pay attention to the material of that package and how it will, or won’t react with your product. Natural, green skincare products are full of great ingredients like essential oils, fatty acids, natural surfactants, and fruit acids, all of which will react badly to some types of material. Butters and creams will leach through kraft paper bags. 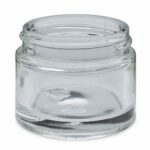 Acrylic jars can crack. Proylypropelyne is great for battery cases, but not for facial serums. This short guide can help you navigate your skincare packaging. PET is also known as PETE or Polyester. PET stands for Polyethylene Terephthalate and is mostly used for the manufacturing of plastic bottles for cosmetics and for beverage consumption. PET is popular because it provides a sound oil barrier between the plastic and the product inside. This helps prevent the chemicals attacking the plastic and deteriorating the material. 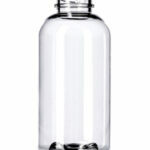 PET can also be a very clear plastic and can look like glass once set to its desired shape. 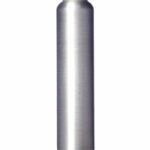 PET can also be manufactured in virtually any color, and you’ll easily find stock colors at most packaging companies. PET comes in a variety of “squeezability” ranges from semi-rigid to rigid. It is very lightweight, which helps reduce shipping costs. It is strong and impact resistant. 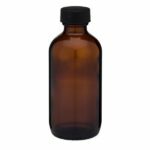 If your product has a lot of essential oils, high alcohol content, or other solvents, this will be your best plastic option. 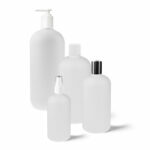 PP – Polypropylene Plastic- BPA-free and 100% recyclable in the US (number 5), it is a popular choice for tubes and for cosmetic containers. 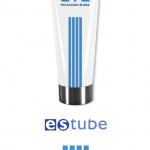 Container Types: Squeeze tubes like these from CTL and round, twist up deodorant tubes like these from Qosmedix. Glass – An upscale and commonly seen as an eco-friendly option, glass can be expensive to ship and to handle in manufacturing. 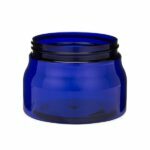 Dark glass jars are excellent for essential oils, serums, and lotions high in vitamin C, and for anything you’d like to have an upscale look and feel. 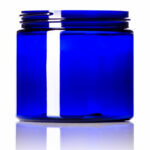 Be cautious about glass products for scrubs and bath gels as they can be broken in the tub and shower. Glass can come in clear, frosted or colors. Container Types: Vials, roller ball applicators, glass EO drams, jars, bottles like these from Berlin Packaging. Metal – Metal has a great look but needs a special coating to work for products with a high percentage of essential oils. You’ll want to check our product in the metal container before you invest to see how it stands up to rusting and generally looking beat up. 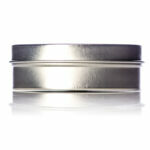 Metal lids can be easily dinged during manufacturing and shipping, so be cautious with aluminum lids. Metal can also be used as a coating on a plastic-lined bottle. 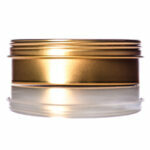 Container Types: Flat tins, deep tins, screw-top lids and aluminum bottles like these from Container & Packaging. HDPE – HDPE is known for its durability and strength; it is highly resistant to most acids and is good for products with solvents like alcohol and also surfactants. It’s not great for products with a high essential oil content, as it can react with the EO and leach the plastic into the product. Yuck. 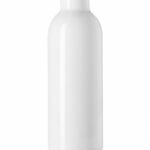 Although HDPE can never really be clear or see-through, it can be translucent so you can see your product inside the bottle and you can color match most colors. It is one of the easiest plastics to recycle and has a wide variety of post-consumer uses. HDPE is marked with a 2. 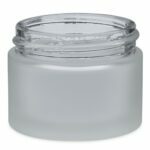 Container Types: Jars and bottles with opaque white, natural, black like these from Repack. Once you determine the type of material you’ll put your products in, you’ll want to think about the shelf appeal. Will your package appeal to your customer, does it support your brand image — high end vs. value driven, etc. Then work with your manufacturer to be sure they have the equipment to fill it and that you can easily label it — with silk screening, printing, or labeling.